Mondev’s distinguishing characteristics are easily recognizable in this project. The spaces are airy and bright, and the windows make the most of the natural light. A modern, up-to-date design with a sleek urban style combined with quality finishes. Large balconies and terraces provide additional living space outdoors. 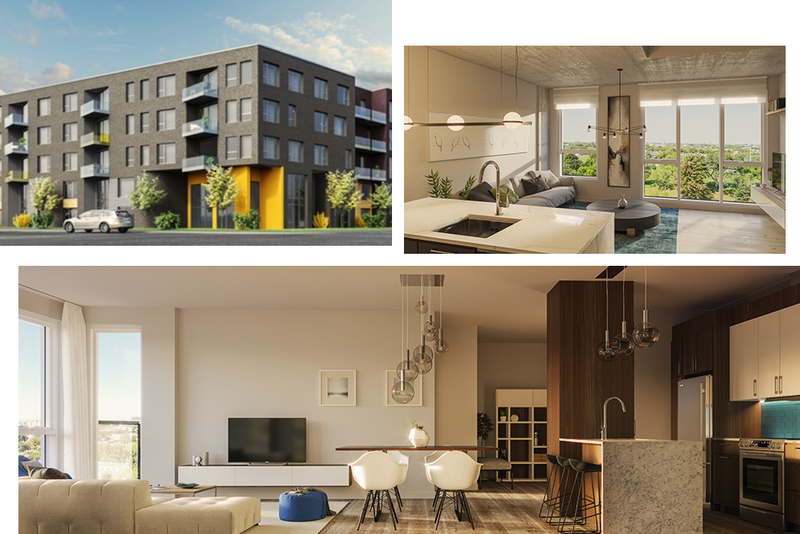 Units are available in a variety of layouts: one, two and three bedrooms, a second bathroom, a dedicated office space and several units come with a mezzanine. Condo 105: A first-floor two level unit with a mezzanine, back terrace and two bathrooms. Total living space: 762 square feet for $279 900 +taxes. Condo 308: I love that this corner unit with windows on each side. A balcony facing rue Des Carrières and its third-floor location, offers a wonderful lookout point. Total living space: 752 square feet for $284 900 +taxes. 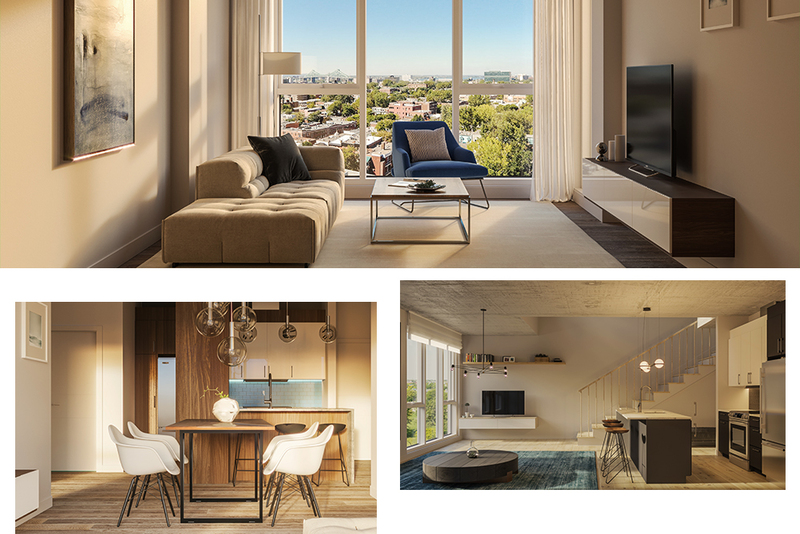 Bonus – Bordering Plateau Mont-Royal and La Petite-Patrie, Le Roc is will be established at the intersection of these two lively districts where living is good! Rosemont metro station is a few minutes walk and the areas has many nearby public transportation options. If Mondev is renowned for building projects that meet buyers’ needs, its their professional customer service that impressed me. Le Roc Condos is currently on pre-construction sale and I booked an appointment at the Mondev Sales Office. What a wonderful welcome! The Sales Representative explained the layouts, presented me all the available finishing options and answered all my questions. If you are in the market for a condo, be sure to look at this project, you will most certainly find a unit to your liking. Occupation is scheduled for Fall 2019, just in time for a nice walk at Marquette Park. I’ll be there, shall we meet for a stroll and enjoy the colourful leaves on the trees?